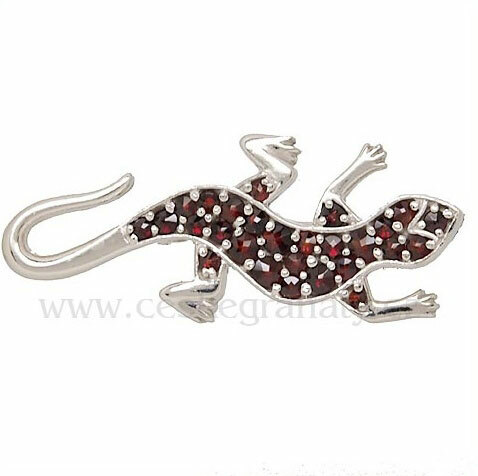 The most iconic precious stone of Bohemia is traditionally the Czech garnet. Among the wide family of garnets (the colors of which can range from orange to green), Czech g arnet has been valued for centuries for its quality and superior grading. It has a velvety blood-red color. Its high gloss is given by exceptional light refraction – it’s as if light lit the fire. This is also why it received the name pyrope (from Greek ‘pyros’ – fire). 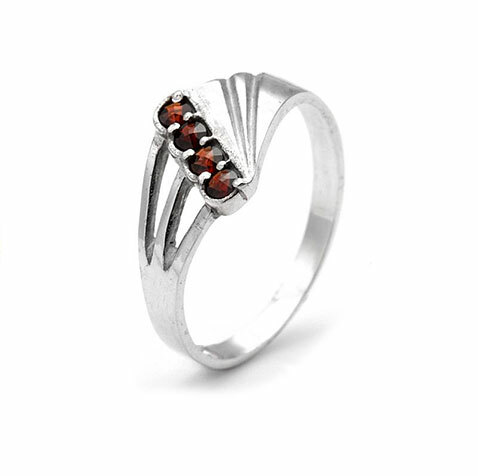 In practice, a larger Czech garnet can’t be found – that is truly exceptional these days. Yet garnets of smaller sized are commonly found. 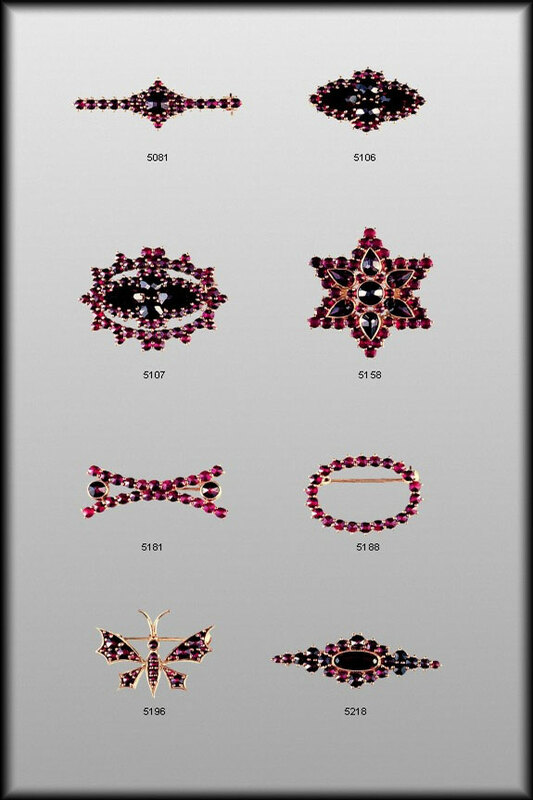 From a certain perspective, we could say that garnet is more valuable than diamonds, because there are many more diamonds than garnets in the world. Typical garnet jewelry from the Austro-Hungarian Empire period was usually decorated by small garnets arranged around a central stone, quite often almandine. 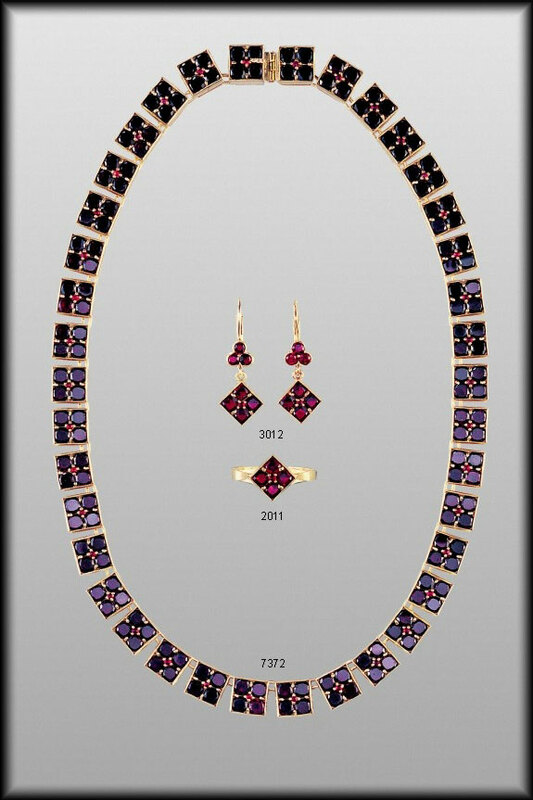 Nowadays you can find both jewelry set in this traditional manner and modern jewelry that highlights the beauty of this unique semi-precious stone. 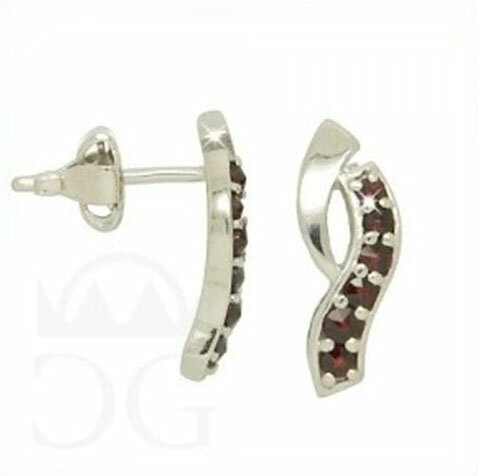 It is said that garnet should sustain a color and spark of excellent red wine. 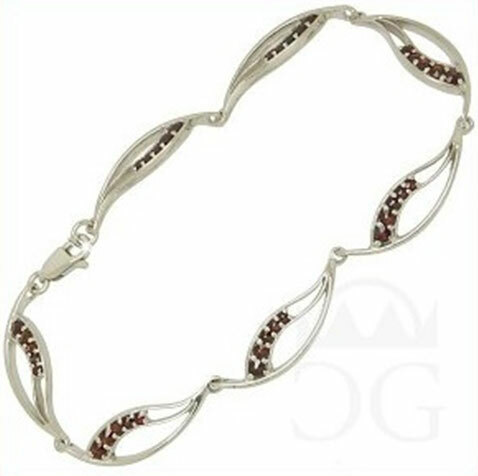 Garnet is considered a stone that brings luck and promotes health. It is said that it supports blood circulation and positively influences arthritis. Please note: downtown Prague is full of jewelry shops that offer great discounts. It’s important to be observant, because many sell low-quality garnets or even synthetic stones. In the worst case, worthless glass is passed on as garnets, occasionally even with a fake certificate of authenticity. During an inspection that took place a few years ago, thirteen out of fifteen stores failed to sell original garnets. Therefore you should know that a true garnet jewel is decorated with a large number of tiny garnets resembling a pomegranate. If the jewel has a larger central stone, it will be, in a better case, an almandine. 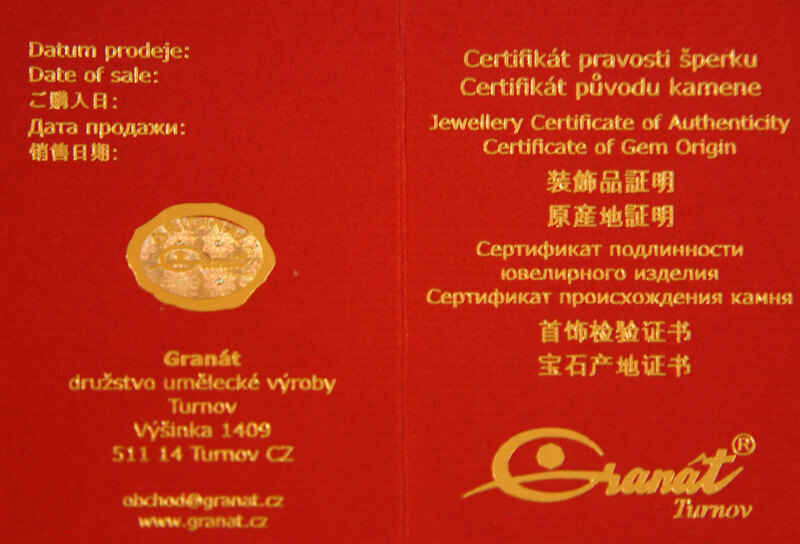 Beside this, true Czech garnets are made by an authorized company ‘Granát Turnov’ and have an assay G or G1. Their certificate of authenticity contains a small hologram that cannot be falsified. Beside this company, there is a small number of Czech family companies, for example Studio Šperk Drahoňovský, renowned for the quality of their work. 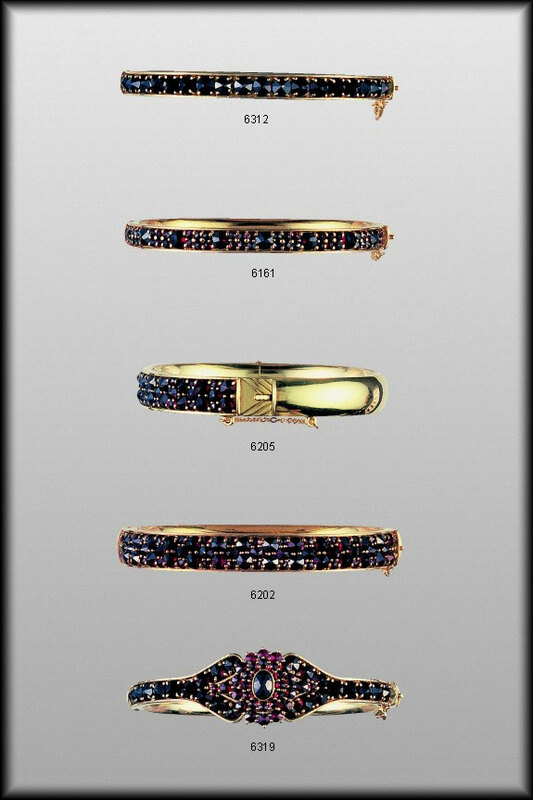 In this case, their jewels carry the assay and certificate of authenticity of the given family business. “Studio Šperk Drahoňovský” is a family store founded by master jeweler Josef Drahoňovský shortly after the Velvet Revolution that is the synonym of the return to democracy for our country. Because Mr. Drahoňovský lives in Bohemia, it was immediately clear which specialization he would pick: pyrope, the finest of garnets. Its deposits are found in ‘Bohemian Paradise,’ the European geopark of UNESCO. Besides traditional designs that dominate practically all Prague jewelry stores, here you can also find pieces with modern, often minimalistic, design, as well as jewelry set with other precious stones – amethyst, citrine, smoky quartz or the meteorite moldavite. Thanks to its good location, the Studio has fully competitive prices. It’s located in one of the streets stemming from the Old Town Square. Prague Arts Tour offers the opportunity to get a discount voucher for purchases in the Studio Šperk Drahoňovský. Enter your e-mail address and we will send you your voucher. The entered e-mail address will not be used for commercial purposes or shared with third parties.